I can’t believe it’s this time of year again, my favourite time of year… time to spread a little festive kindness around our homes, workplaces or schools, and communities. Yippeeeee!! Unfortunately, I’ve not been too well recently. My Chronic Fatigue Syndrome symptoms are raging , and as I write this, I’m on bedrest while I recover. But I’ll still try to spread as much kindness as I possibly can, and hopefully I’ll feel well enough to venture outside soon. Thank you. You really are amazing! I know that the acts of kindness we do make a huge difference and help to brighten others’ day, as well as our own. I also think that particularly during these times of trouble and turmoil, it’s a beautiful way to show there is still oodles of good in the world. I’d like to invite lovely you and yours to join me spreading a little kindness again this year. 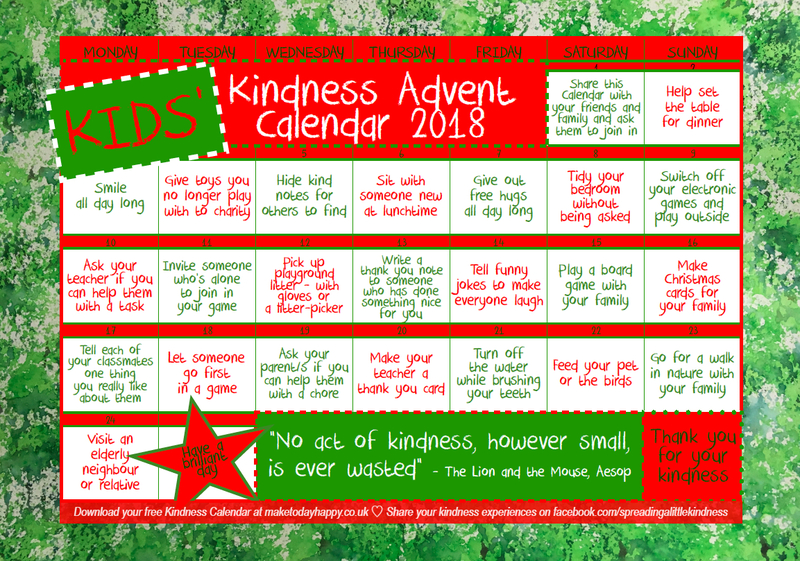 For anyone new to my Kindness Advent Calendars, I would like to give you a big warm welcome. I’m so pleased you stopped by. I can safely say that we’re going to have a whole lot of festive fun this year. 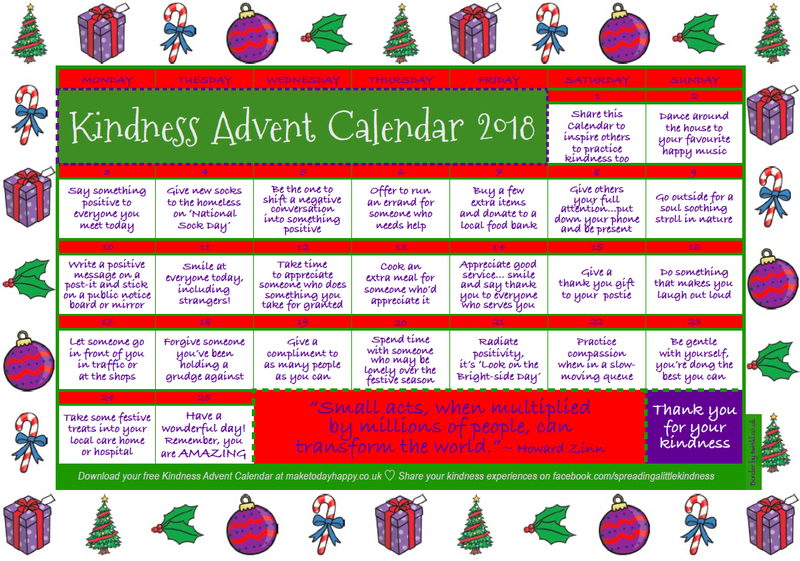 To recap, my Kindness Advent Calendar works just like a normal advent calendar but instead of the usual chocolate countdown, we are embracing the true spirit of Christmas by doing 24 random acts of festive kindness. I received so much positive feedback from parents and teachers about last year’s Kindness Advent Calendar for Kids, I thought I’d do another this year. You may want to mix it up and swap the acts around, adapt the acts to suit you, or even change them for your own kindness acts. And don’t worry if you can’t do an act of kindness every single day, sometimes it’s just not possible as I know too well with the nature of my Chronic Fatigue Syndrome flare ups. Wishing you a dazzling December and a FAB-YULE-OUS festive season, and let’s remember to be kinder to ourselves as well, we are definitely worth it! Thank you so much for spreading a little festive kindness. I LOVW your calendar, but the download for 2018 has the dates from 2017. December 1st is Saturday not Friday! 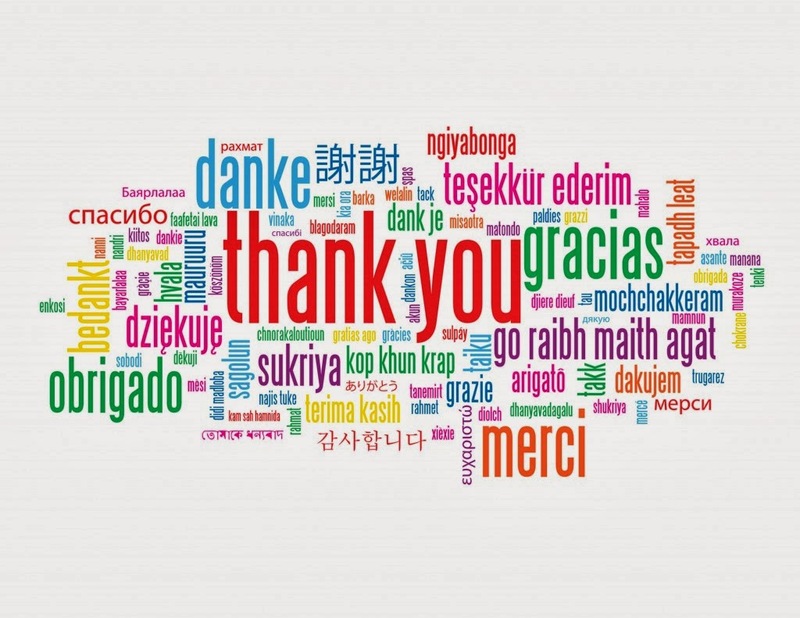 Thank you so kindly for sharing the kindness calendars with us. I really look forward to each months edition. I also share the calendars with my Sunday school class. I hope you can have a restful month and are feeling better soon. Helen thank you so much for these kindness calendars. I absolutely love them. I’m all about random acts of kindness anyway but it’s so lovely to be part of a community that also values kindness. Hope you are soon feeling up to going out and about spreading your kindness as you go.